for $238,000 with 4 bedrooms and 1 full bath, 1 half bath. This 2,128 square foot home was built in 1905 on a lot size of 79 X 325. LOCATION, LOCATION, LOCATION! 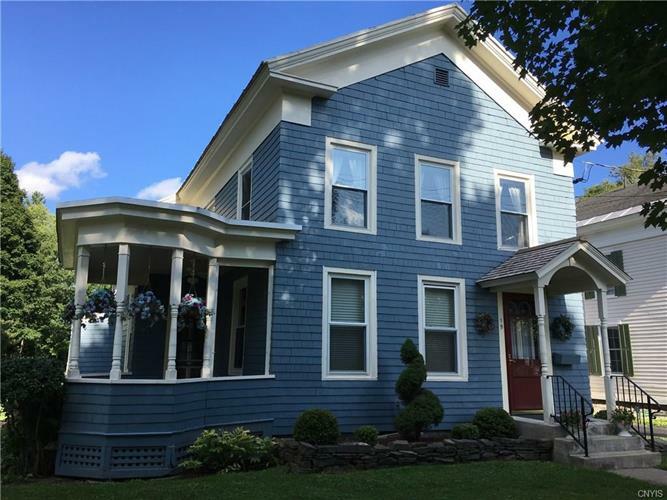 Handsome village colonial located within walking distance to Colgate University, downtown shops , village green entertainments & Hamilton Central School. Scenic yard, set on .67acre and overlooking 7 Oaks Golf course. This well located and maintained home features 4BR, 1.5B, LR, DR, office, eat-in kitchen/TV/laundry room. A full basement and detached garage, front & side porches & rear deck offer plenty of exterior feature spaces. Enjoy the ease of Village life!